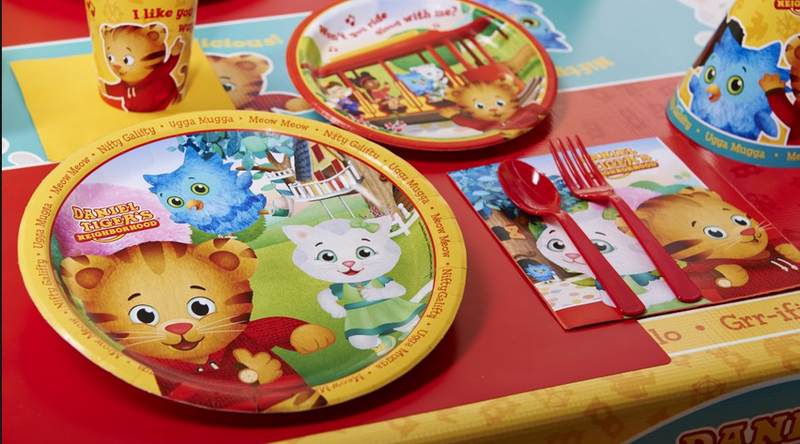 the lovable DVD, “Would You Be Mine?,” and Buy Seasons has a line of Daniel Tiger paper products perfect for a child's party. I had a chance to review the DVD and paper products. The themed party ware was a hit with the kids in my daughter's classroom. 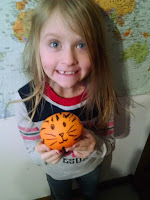 We even turned oranges into tigers (my daughter is holding one of these; I'm not a great artist but it turned out to be pretty easy). The DVD, although it has a Valentine's Day title, is appropriate for any time, with gentle lessons about love and caring. The DVD is available at most retail outlets or websites. It has eight episodes, or about two hours of child-friendly entertainment that kids will enjoy watching and parents can feel good about. 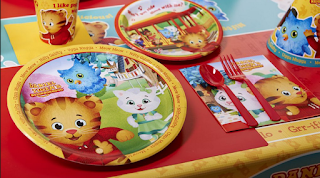 Buy Seasons party supplies are available at Walmart and Birthday Express.